This is a fun project. It's in progress so I won't give many details but it includes the potential for a number of unique treehouses atop the Blue Ridge mountains near Charlottesville, Virginia. 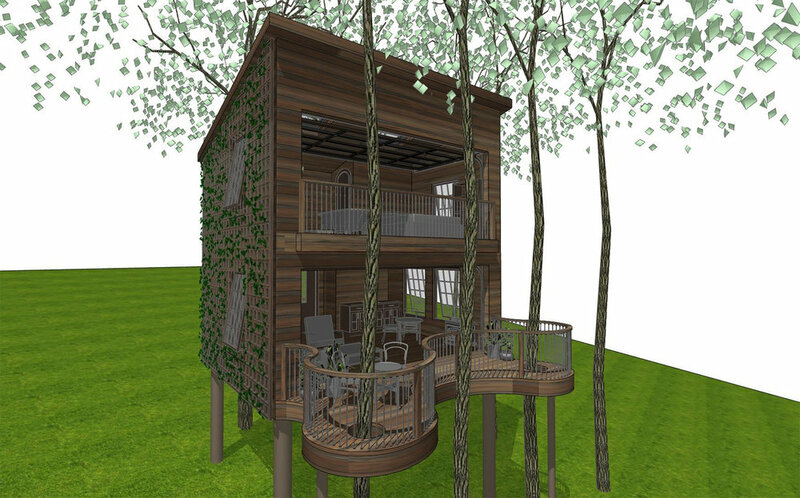 We've been debating the use of the word 'treehouse' as you'll see these aren't your typical treehouses built for an 8 year old by dad. They will be quite luxurious. 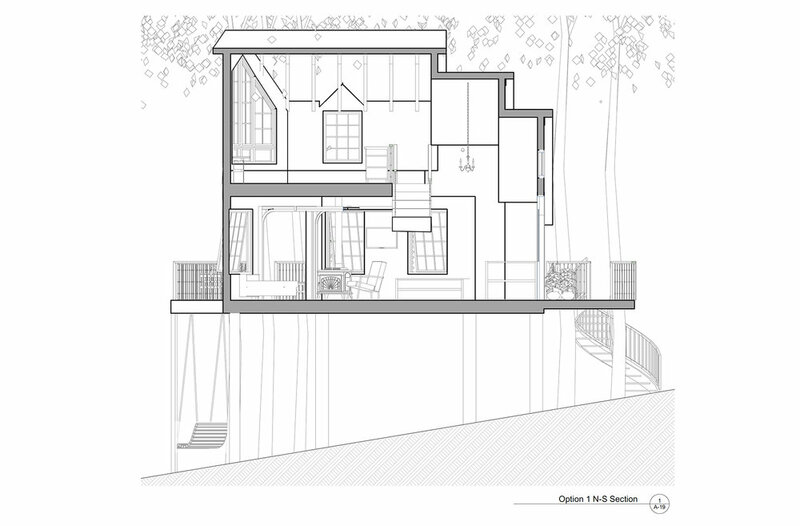 Parts of the houses may be anchored to trees and some structures, such as Option 3 below may not. Either way they will offer a stunning views and an extremely unique experience in and among the beautiful oaks, maples, poplars and pines. 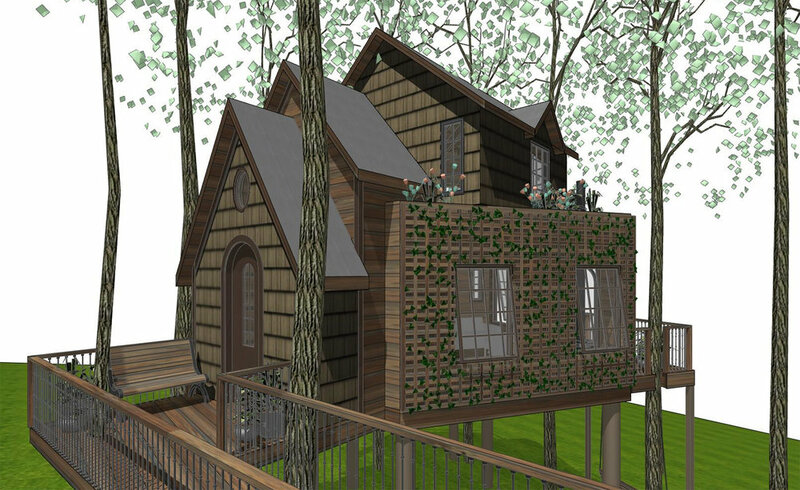 LUXURY TREEHOUSES WITH FULL AMENITIES TO BE CONSTRUCTED ATOP THE BLUE RIDGE MOUNTAINS NEAR CHARLOTTESVILLE, VIRGINIA. THE SITE LIES ATOP THE MOUNTAIN IN THE FOREGROUND OF THIS IMAGE. 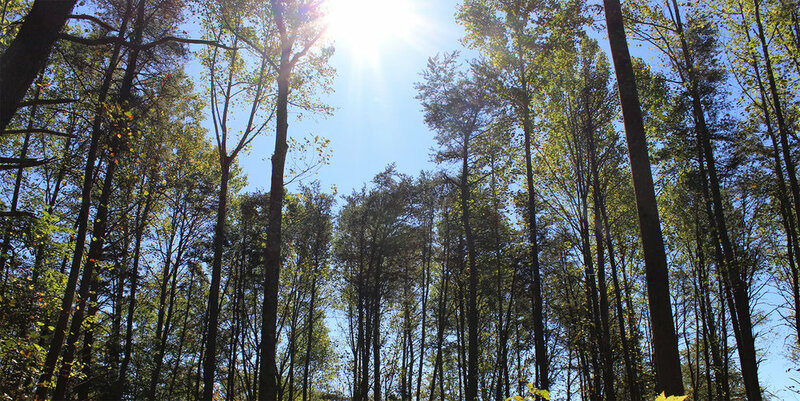 A GLIMPSE UP TO WHERE A TREEHOUSE WILL BE.